This program is designed to help those with specific trail and ultra goals over the spring and summer. Trail/Ultra runners will meet as a group every Sunday morning at a pre-determined trail head in the Boulder - Golden area. There will also be occasional excursions to the high country, getting runners above 10,000ft to help acclimate for altitude races. 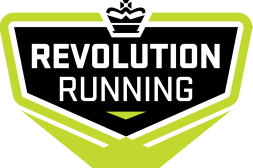 The program includes all Tu/Th/Sa regular run group workouts along with a training schedule aimed at a variety of trail races. Sunday trail runs will be non-coached and therefore will not cost anymore than the regular group program. Plus other races on or near these dates. Trail group will meet Sunday's 8:00am at a pre-determined trail head* or car pool location. *Please Note - Training locations vary every week. Details will be included in a weekly email with information about the upcoming week. Email or call for more info. 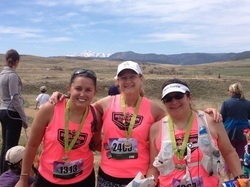 If you want to train for a special race, our trail specialist coaches will help you make adjustments to your schedule. It is the runner's responsibility to carry his/her own fluids and nutrition. There will not always be access to water (lake or stream) for sterilization either so make sure you are prepared. Check out Ultimate Direction packs and handhelds if you don't already have something. Trail shoes are not necessary, but if you need additional traction please make sure you are set with a pair before you start. Dogs ARE welcome but make sure Fido has plenty of water and nutrition (as well as pad protection) too. Check trails are dog friendly. The Trail/Ultra program is at no extra cost to the regular program. The Trail/Ultra Program is considered part of the regular Summer/Fall program and comes at no additional cost. Current members receive a 15% discount.